since its pre-owned I guess it doesn't matter as much but they have sneakily introduced loot boxes into the game, they did not do this on launch so not a mainstream media backlash. since its pre-owned I guess it doesn't matter as much but they have …since its pre-owned I guess it doesn't matter as much but they have sneakily introduced loot boxes into the game, they did not do this on launch so not a mainstream media backlash. Plenty of things but in this case the main issues are they're not just for cosmetic items, new weapons and characters are locked behind the paywall only available via loot boxes so gameplay is affected. 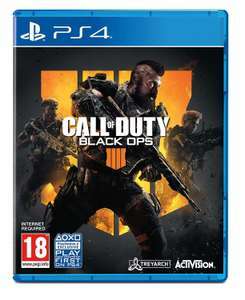 Activision are already splitting the player base with its DLC, this now also ensures that you can pay for better weapons to use against those who don't. Also these loot boxes can and will contain duplicates and are yet another layer of a 'progression' system in a game thats already bloated with them. Essentially Activision are milking this game to death because it's the only big franchise they have left and they're determined to rinse it. At least EA reinvests and frequently make new, big franchises.